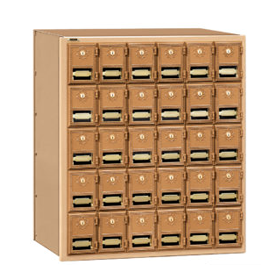 Dimensions: 23.5″W x 30″H x 15.5″D, 70 lbs. Availability: IN STOCK, usually ships in 1-2 business days. 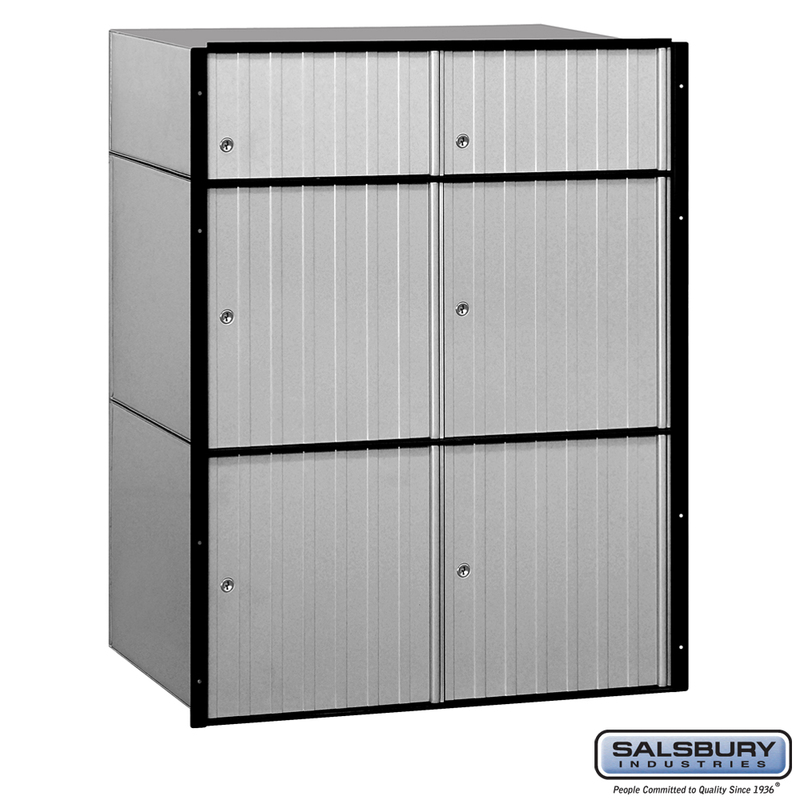 Shipped factory direct from Salsbury Industries in California, 2200 series standard system aluminum mailboxes have 1/4” thick extruded aluminum doors with a durable powder coated aluminum finish. 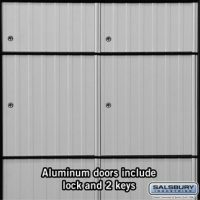 Each door includes a five (5) pin cylinder cam lock with two (2) keys. 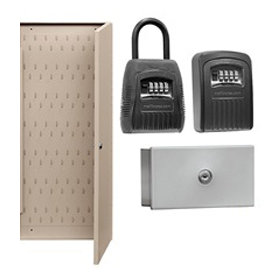 Alternative locking systems are available, please see accessories below. 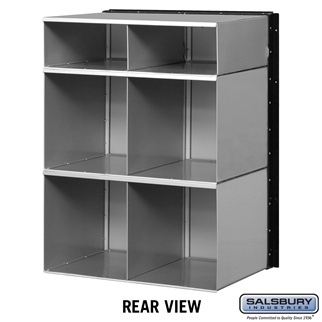 The mailbox compartments have open backs (hinged locking rear covers – also available below) and are constructed of 20 gauge steel. 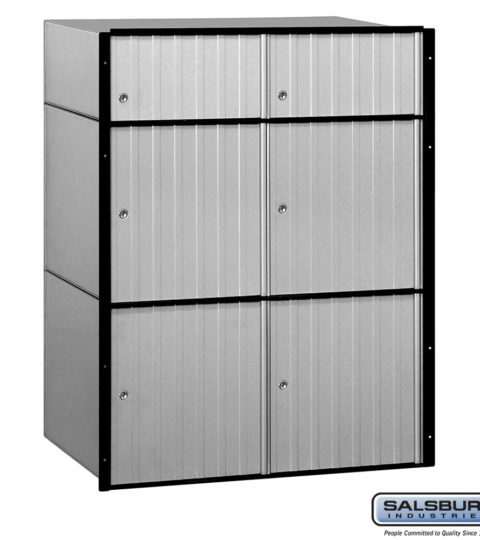 Standard system aluminum mailbox units are designed to stack two (2) high and mount adjacent to each other or between wall studs. 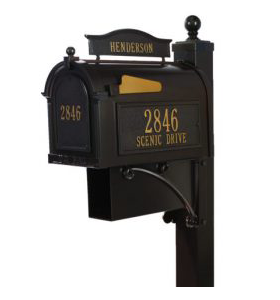 All mailbox units have the same outside dimensions. Private use only. 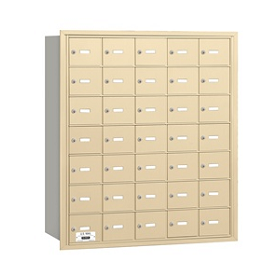 30 DOOR ALUMINUM MAILBOX-STANDARD SYSTEM Dimensions: 23.5″W x 30″H x 15.5″D, 100 lbs. 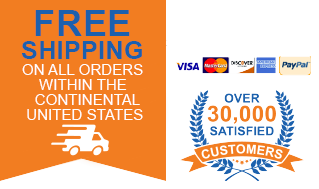 Availability: IN STOCK, usually ships in 1-2 business days. Shipped factory direct from Salsbury Industries in California, 2200 series standard system aluminum mailboxes have 1/4'' thick extruded aluminum doors with a durable powder coated aluminum finish. Each door includes a five (5) pin cylinder cam lock with two (2) keys. Alternative locking systems are available, please see accessories below. 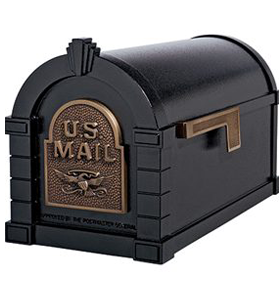 The mailbox compartments have open backs (hinged locking rear covers – also available below) and are constructed of 20 gauge steel. 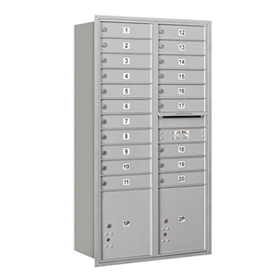 Standard system aluminum mailbox units are designed to stack two (2) high and mount adjacent to each other or between wall studs. 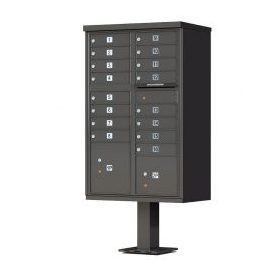 All mailbox units have the same outside dimensions. Private use only. 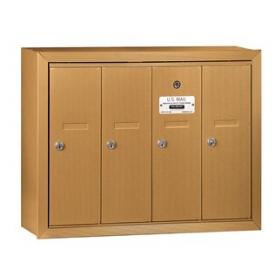 14 DOOR ALUMINUM MAILBOX-STANDARD SYSTEM Dimensions: 23.5″W x 30″H x 15.5″D, 85 lbs. 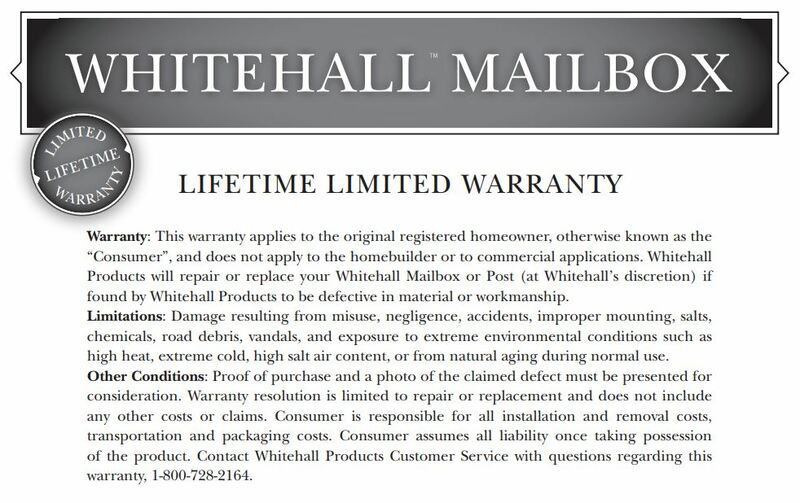 Availability: IN STOCK, usually ships in 1-2 business days. Shipped factory direct from Salsbury Industries in California, 2200 series standard system aluminum mailboxes have 1/4'' thick extruded aluminum doors with a durable powder coated aluminum finish. 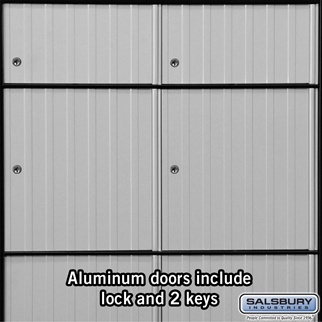 Each door includes a five (5) pin cylinder cam lock with two (2) keys. Alternative locking systems are available, please see accessories below. 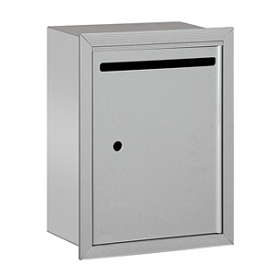 The mailbox compartments have open backs (hinged locking rear covers – also available below) and are constructed of 20 gauge steel. 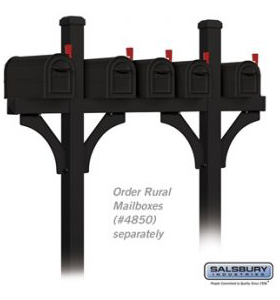 Standard system aluminum mailbox units are designed to stack two (2) high and mount adjacent to each other or between wall studs. All mailbox units have the same outside dimensions. Private use only. 6 DOOR ALUMINUM MAILBOX-STANDARD SYSTEM Dimensions: 23.5″W x 30″H x 15.5″D, 70 lbs. Availability: IN STOCK, usually ships in 1-2 business days. Shipped factory direct from Salsbury Industries in California, 2200 series standard system aluminum mailboxes have 1/4'' thick extruded aluminum doors with a durable powder coated aluminum finish. Each door includes a five (5) pin cylinder cam lock with two (2) keys. Alternative locking systems are available, please see accessories below. 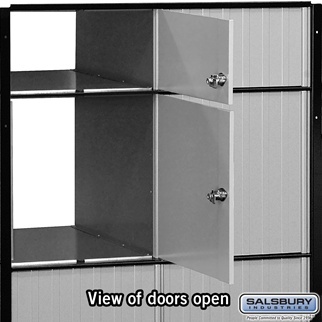 The mailbox compartments have open backs (hinged locking rear covers – also available below) and are constructed of 20 gauge steel. 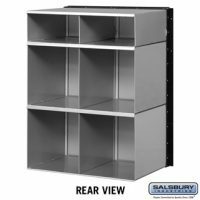 Standard system aluminum mailbox units are designed to stack two (2) high and mount adjacent to each other or between wall studs. 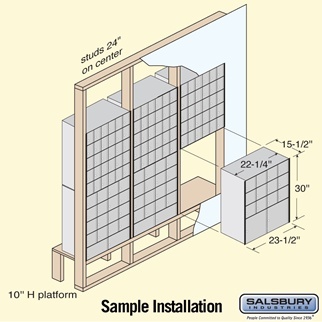 All mailbox units have the same outside dimensions. Private use only. 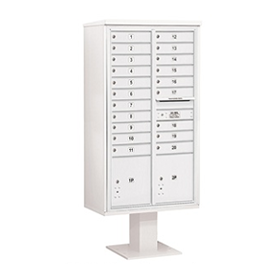 18 DOOR ALUMINUM MAILBOX-STANDARD SYSTEM Dimensions: 23.5″W x 30″H x 15.5″D, 90 lbs. Availability: IN STOCK, usually ships in 1-2 business days. 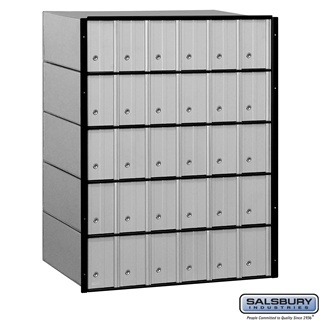 Shipped factory direct from Salsbury Industries in California, 2200 series standard system aluminum mailboxes have 1/4'' thick extruded aluminum doors with a durable powder coated aluminum finish. Each door includes a five (5) pin cylinder cam lock with two (2) keys. Alternative locking systems are available, please see accessories below. 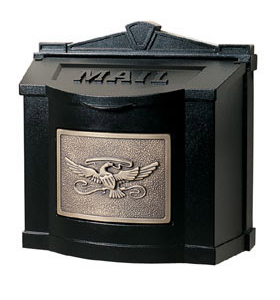 The mailbox compartments have open backs (hinged locking rear covers – also available below) and are constructed of 20 gauge steel. 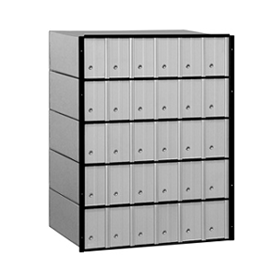 Standard system aluminum mailbox units are designed to stack two (2) high and mount adjacent to each other or between wall studs. 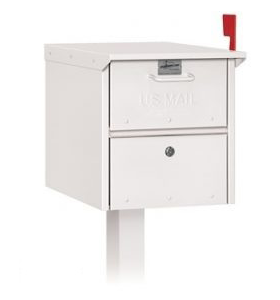 All mailbox units have the same outside dimensions. Private use only.